I feel awesome when I’ve got an invitation from a blogger friend, I was invited to try dinner buffet at Hotel Rembrandt. Hotel Rembrandt is located at Tomas Morato Ave, Diliman Quezon City. Hotel Rembrandt is a 7-storey boutique hotel with 5 star Hotel amenities and Hotel Rembrandt honors the great painter’s legacy of beauty and elegance, and for the realism and simplicity by which he change the course of the late renaissance era. This is my first time here and I enjoyed all the food that I have tasted. 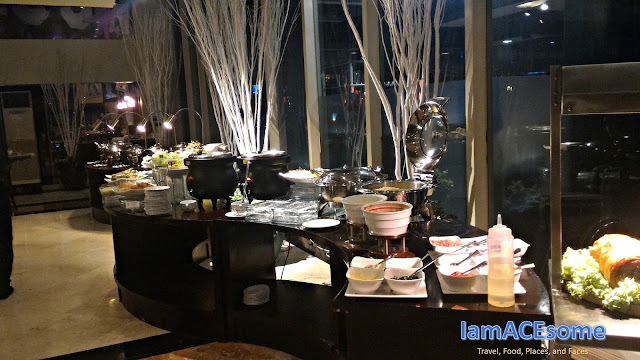 I've tried different buffet restaurant and this one of the few that I am amazed of their wide array of international cuisine dishes for only 650 pesos. The dinner buffet of Hotel Rembrandt indulges in a sumptuous feast every Thursday and Friday from 6 pm to 10 pm at The Lobby of Hotel Rembrandt. What makes really special when you dine at Hotel Rembrandt is that while having your dinner buffet you will be serenading by the relaxing sounds of their residents pianist. As a social media enthusiast I make sure that my followers are updated for being online every time, Hotel Rembrandt provide a free wi-fi access to all of their guest and I’m so happy for that. The ambiance was cool and comfortable dining sets. Because of many food selections, you can’t eat all of them. So, what I did is I tried the food that is new to my eyes or looks appetizing. Overall, I really like the food that I have tasted, one of the best for me is shrimp pomelo salad, which has a pomelo that gives some sour taste and the sweetness taste of shrimp that makes the two ingredients match to my taste buds, I got two rounds of that dish because it was so delicious. A perfect appetizer that gives you a colorful taste of cherry tomatoes, olives, salami, and cheese. A healthy food that use yogurt instead of mayo, a perfect fruit and vegetable combination. A must try a deep fried dish with its perfect and delicious dip combined with sliced of lemon. Everyone's would agree to me that this dish prepared to indulge every guest that feel the tenderness of the meat and the crisp of the pork skin makes even more delicious when you put sauces. A perfect food for your vegetarian taste. Yes, it is creamy and sweet with its perfect combination of cold cherry tomatoes. Make your own nachos, this is cool, you can choose what to add in your nachos to make it super tasty and delicious. A perfect roast chicken because it was so juicy, tender, and tasty. The lamb is very tender, strong flavor compares to other meat with slightly sweet taste. Better also if you put some sauces. The best taste of sweet prawns that are perfectly grilled. A flavourful taste of paella with a perfectly mixed ingredients of seafood and meat. The pork medallion with gravy is very tasty and delightful to my pallet and a new to me. Always good to my taste buds with its sauce and topped with toasted garlic. A perfect salad for your vegetarian taste. This is a healthy way to prepare the fish, the sauce is delicious but not overpowering. After all the dishes I have tried, desserts are next I've eaten to balance my food appetite. You want to satisfy your cravings for good food and good company? 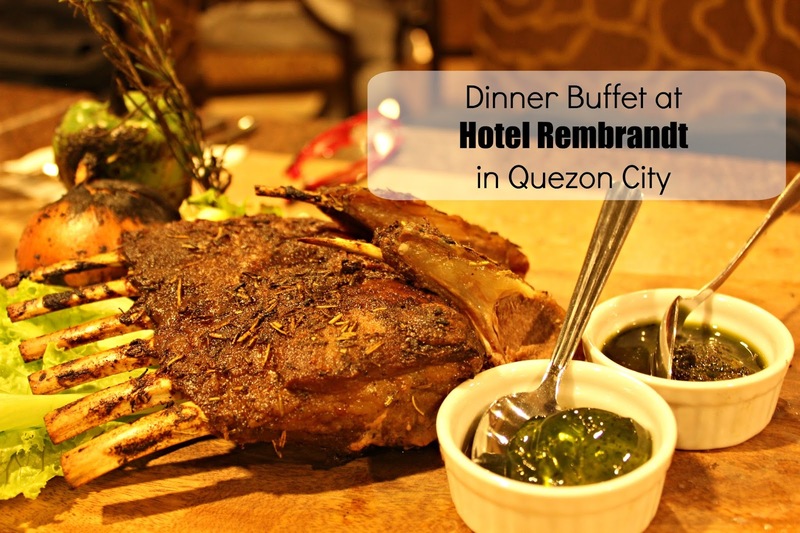 Book now your dinner at Hotel Rembrandt and experience their international cuisine dishes that made will the finest ingredients.